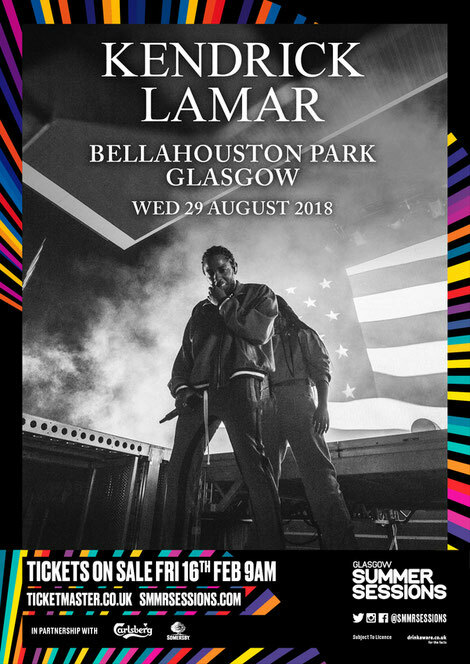 Glasgow Summer Sessions returns in 2018, with possibly one of the biggest announcements in the festival’s 5-year history, as Grammy award winning Kendrick Lamar headlines the outdoor festival in Glasgow on Wednesday 29 August 2018. Probably one of the defining hip-hop artists of our generation, he is the first addition to this year’s bill with more artists to be announced. 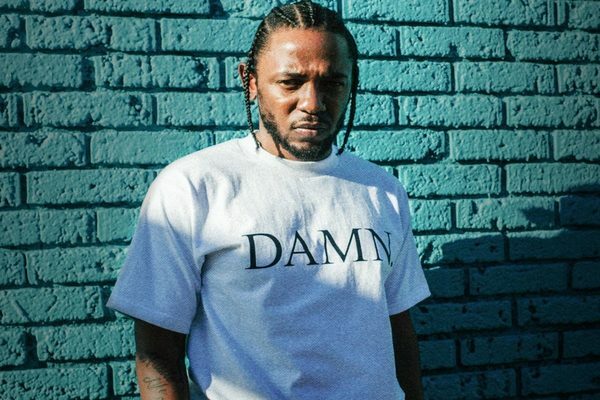 Fresh from a recent sold out performance at The SSE Hydro on Sunday 11 February, the news comes following Kendrick Lamar’s recent five Grammy Award wins. Kendrick’s fourth album ‘DAMN’. saw him reach new heights. Picking up ‘Best Rap Album’ at the 2018 Grammys, as well as nods for ‘HUMBLE.’ with ‘Best Rap Performance’, ‘Best Music Video’ and ‘Best Rap Song’, he has collaborated with Rihanna, Dr Dre, Drake, The Weeknd, N.E.R.D and Snoop Dogg to name a few, and this year co-produced the soundtrack for Marvel’s newest, and most culturally significant, superhero movie Black Panther. The Compton singer broke onto the scene with his 2012 debut ‘Good Kid, m.A.A.d City’ and now sells out arenas around the world, rocking audiences with his enigmatic, high-powered sets which showcase a socio-political analysis and self-awareness. His set at Glasgow Summer Sessions will allow Scottish audiences to see a rapper at the very top of his game.